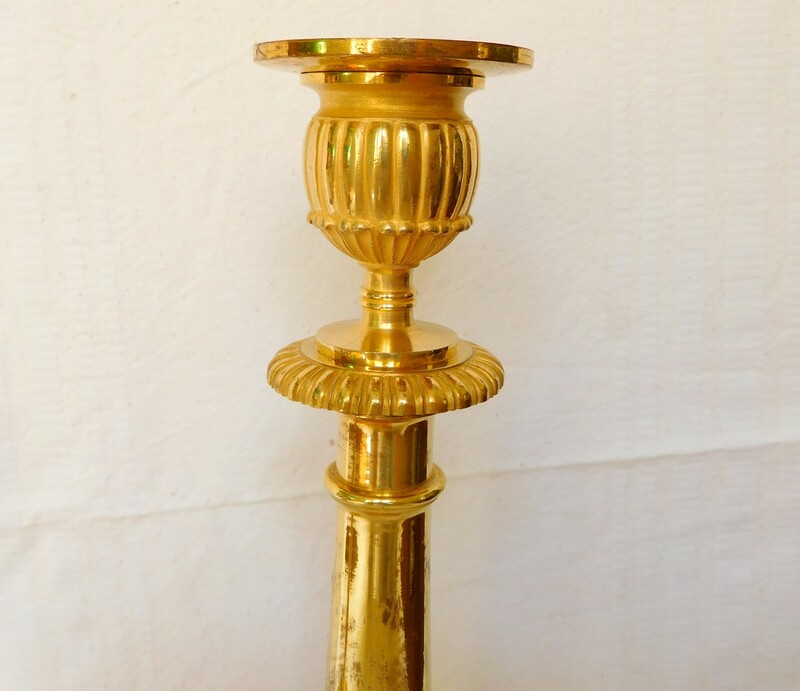 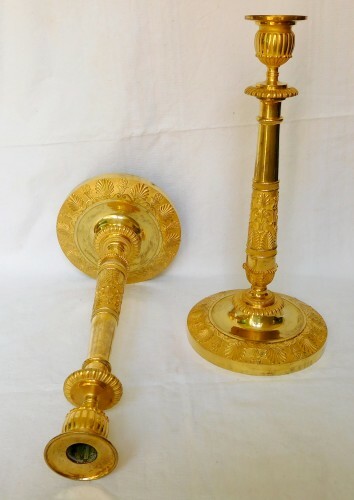 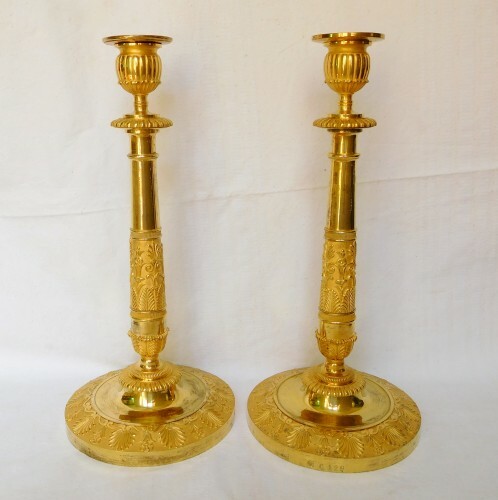 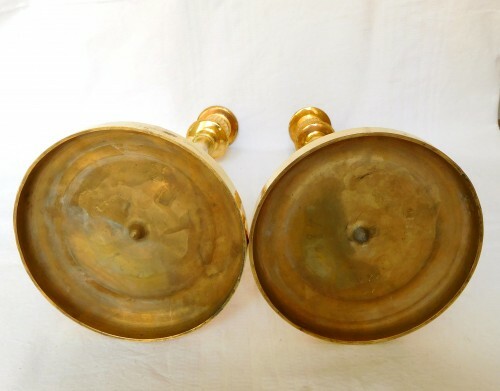 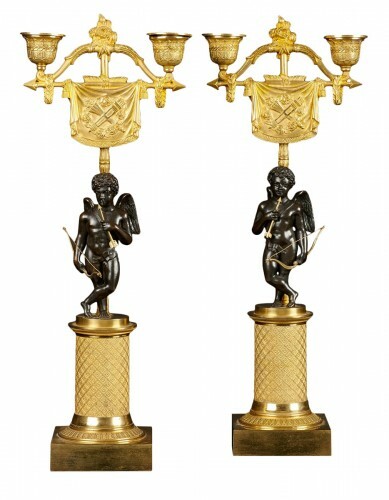 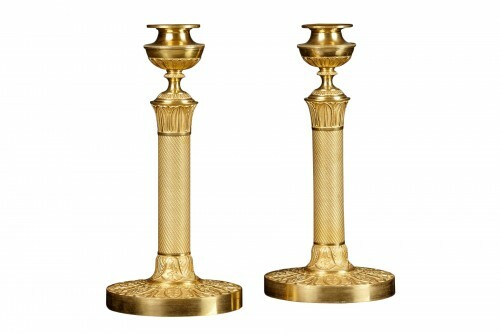 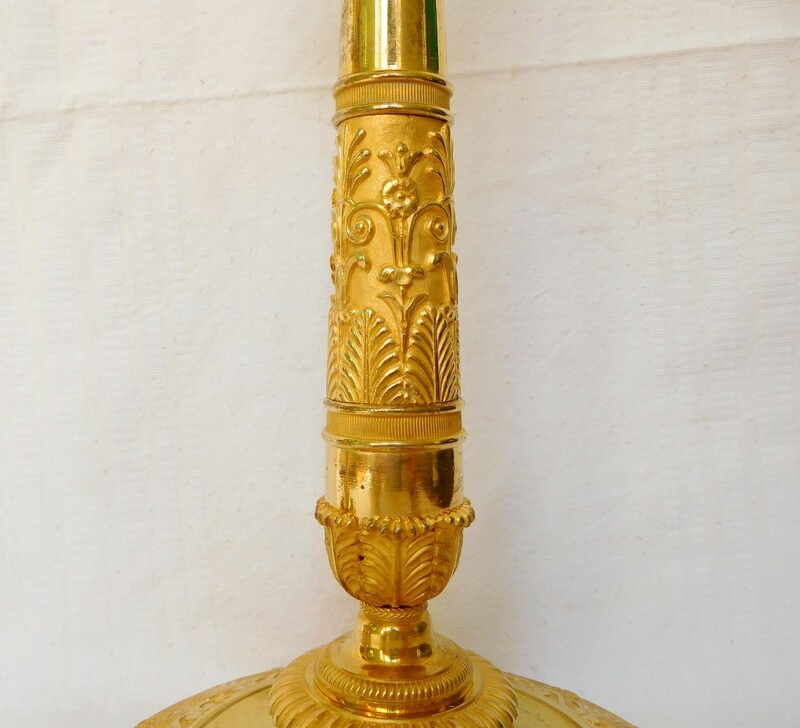 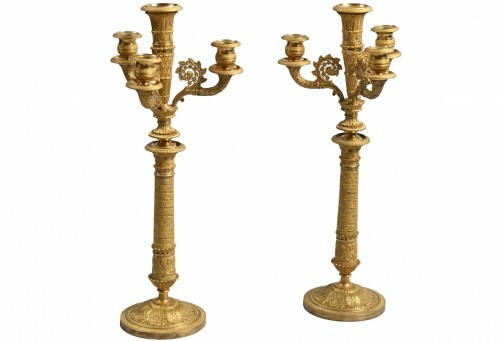 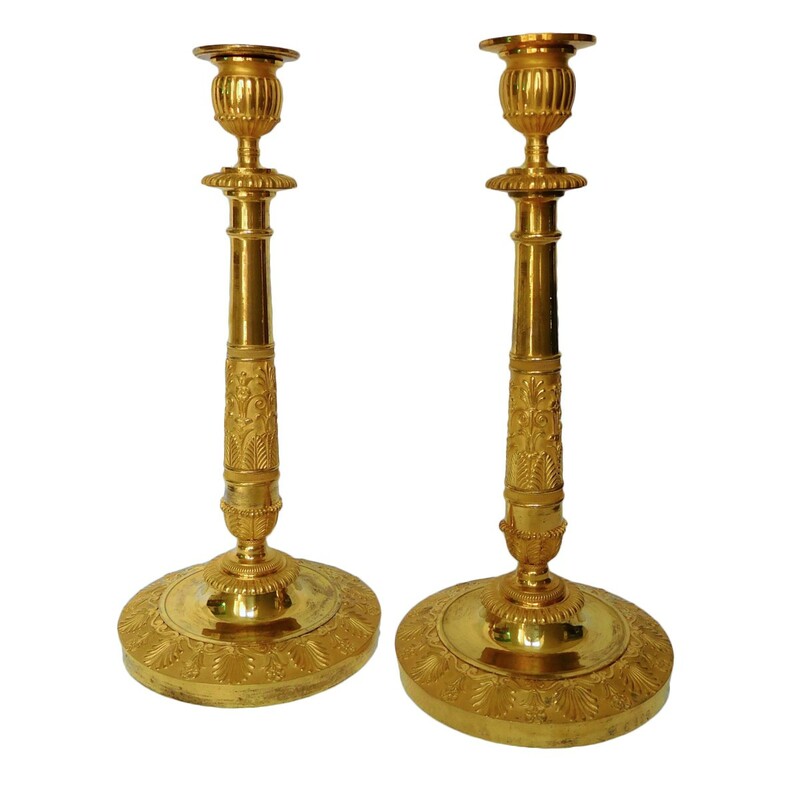 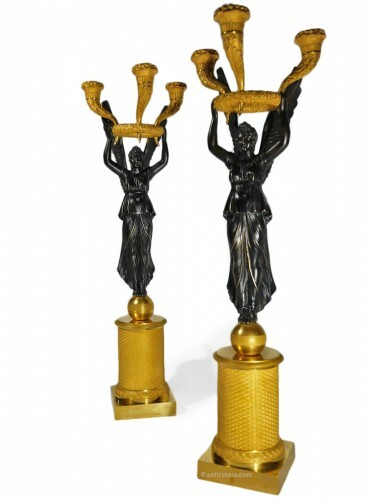 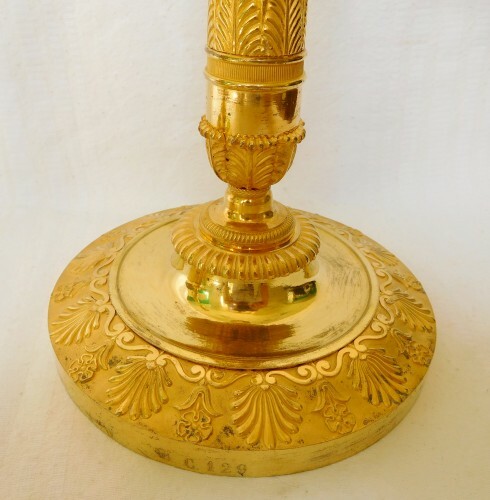 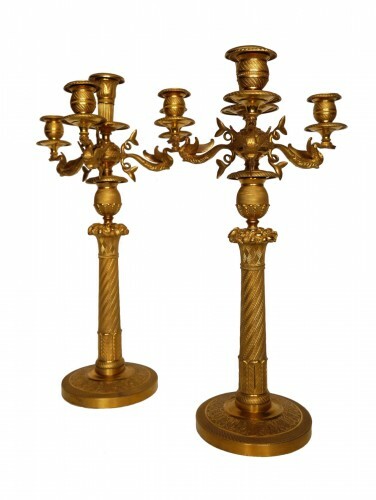 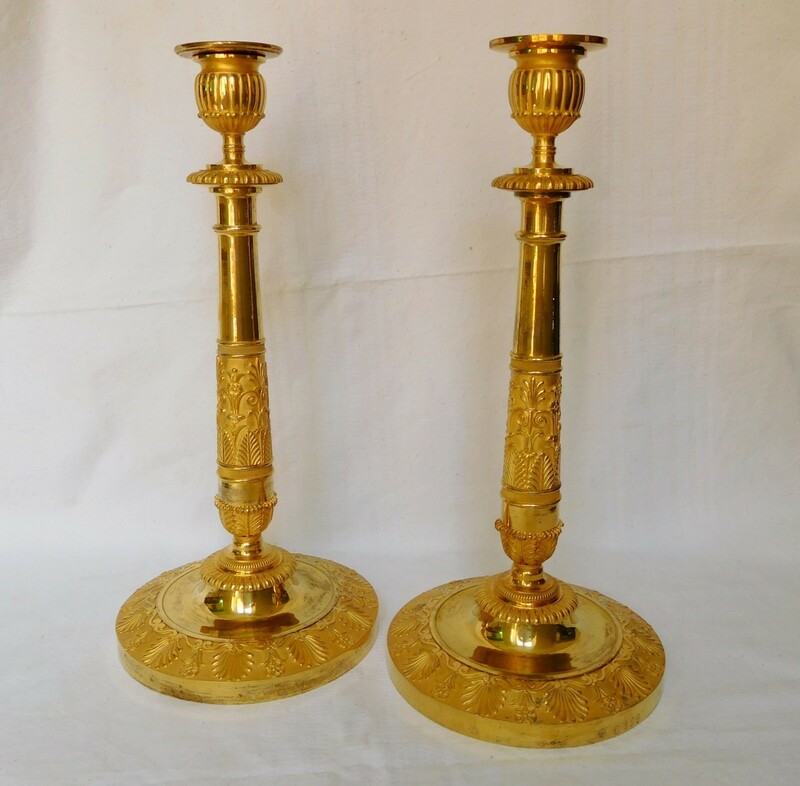 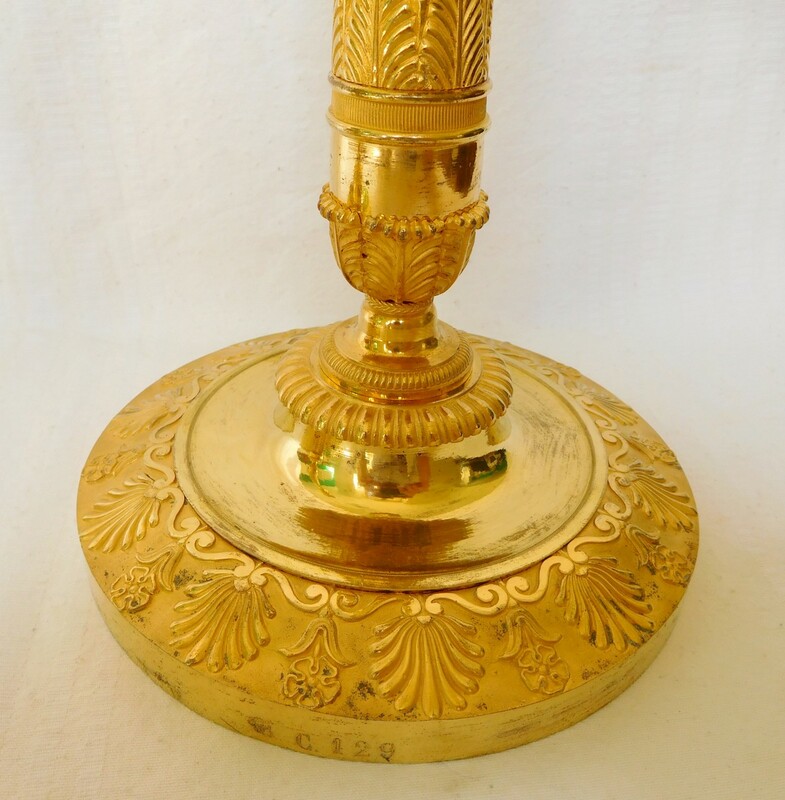 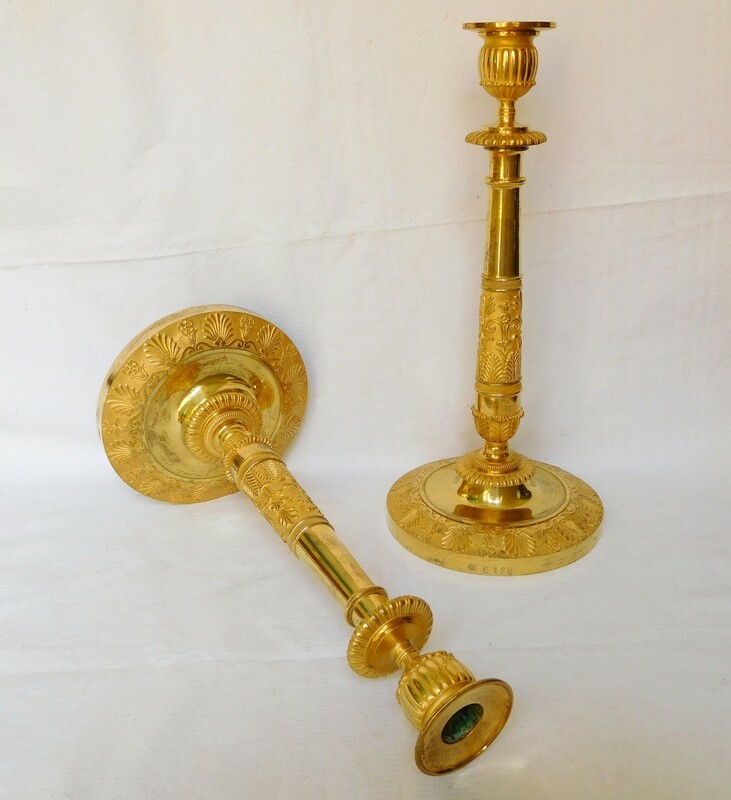 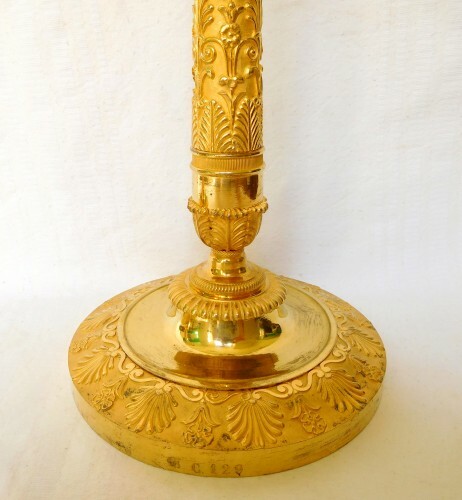 Claude Galle - Compiegne Palace Imperial appartments : pair of ormolu candlesticks. 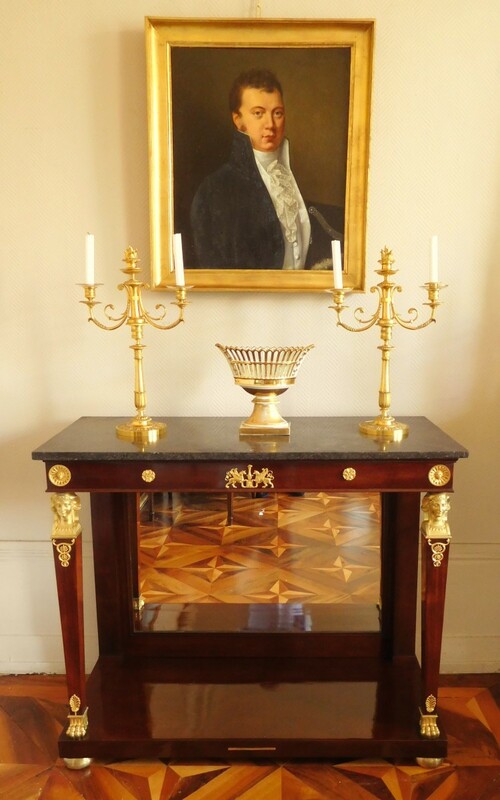 Empire period circa 1808. 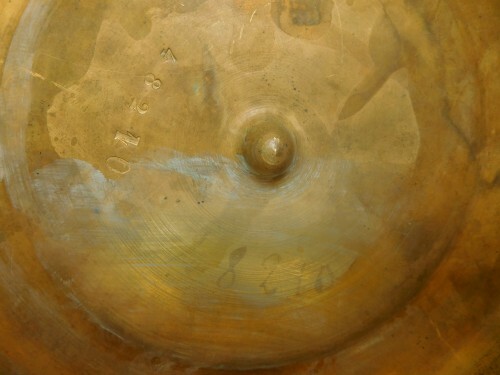 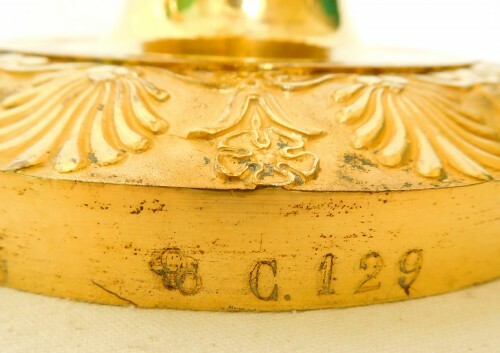 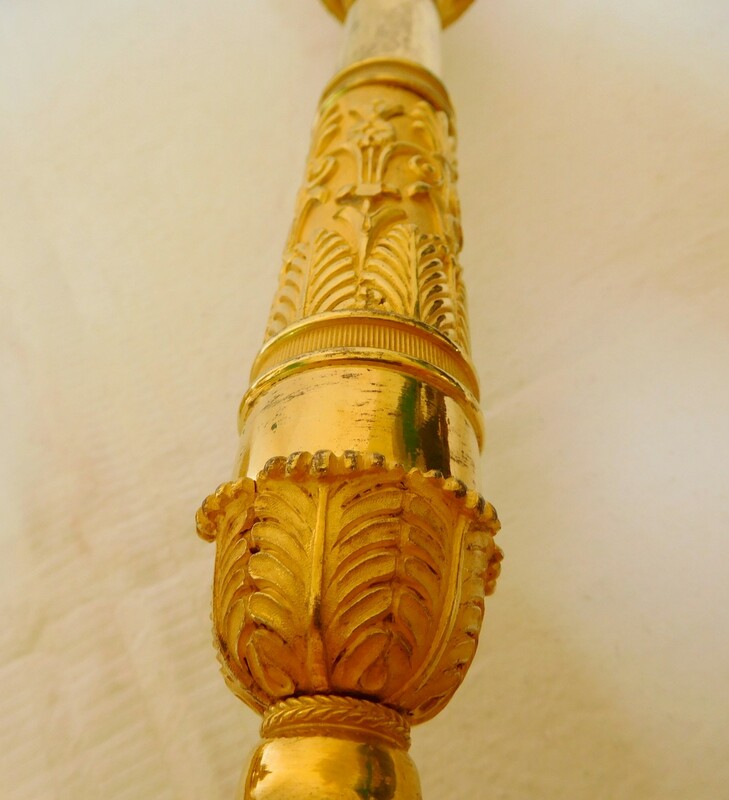 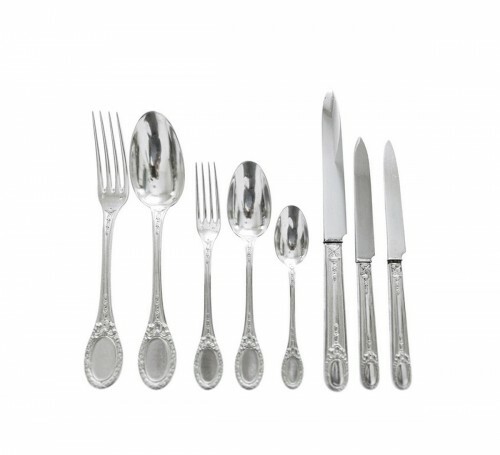 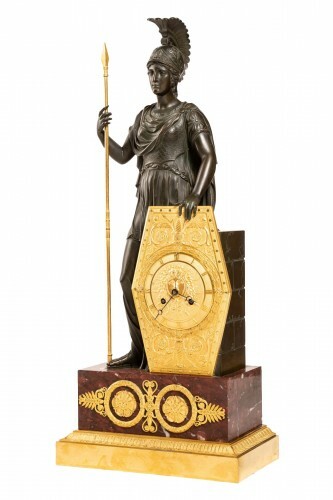 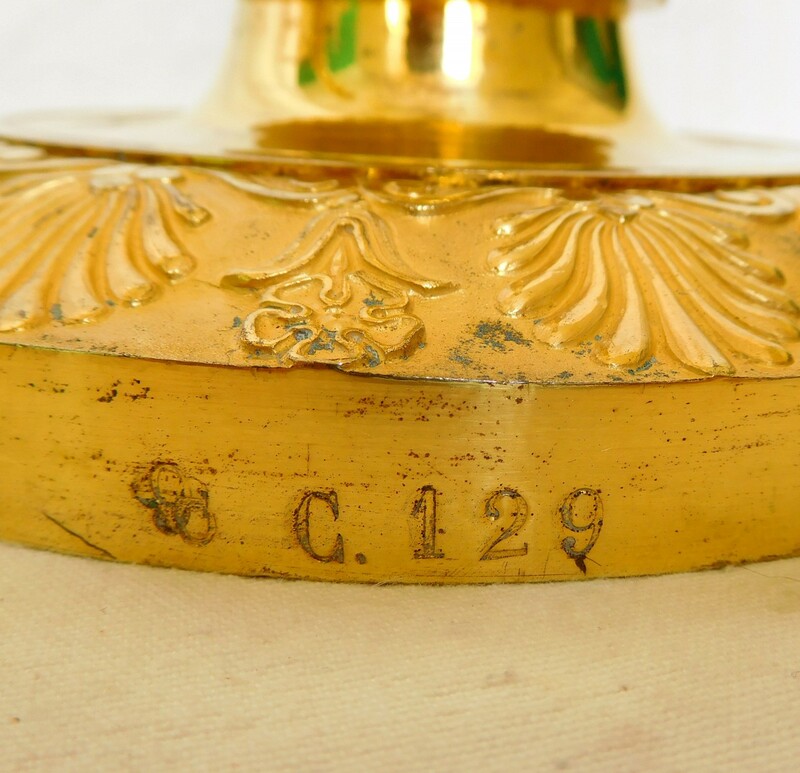 Our pieces have marks of Compiegne Imperial Palace. 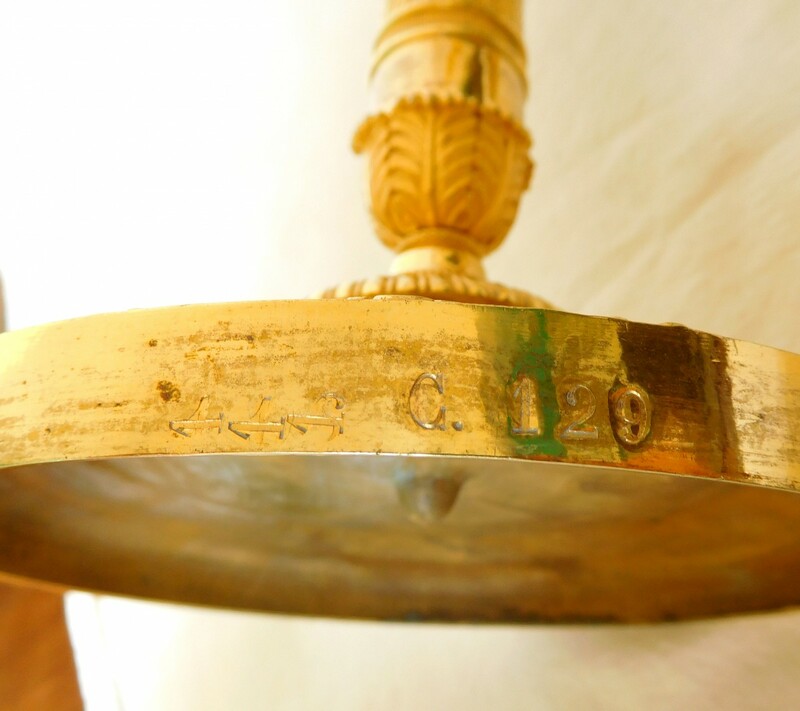 A special thank to the Compiegne Museum Curator who confirmed the authenticity of the numbers. 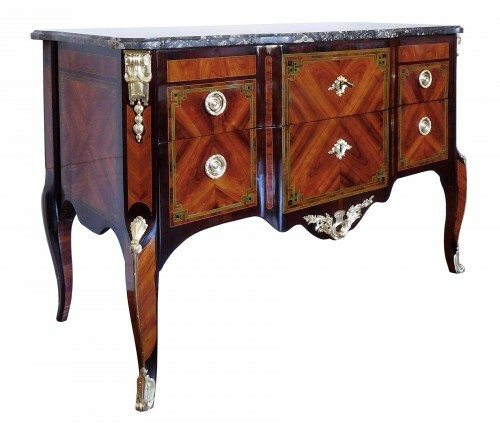 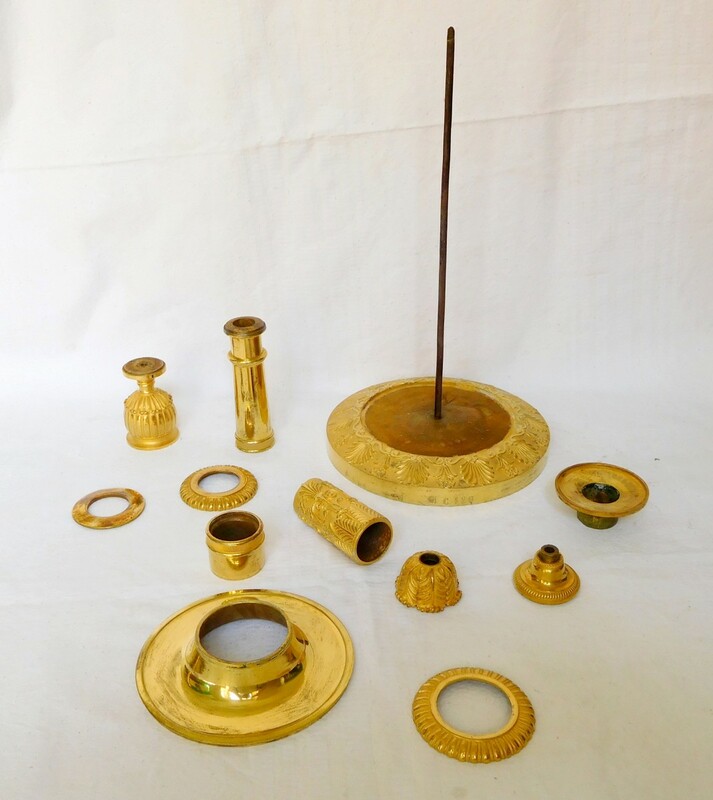 Our pieces were placced inn the Imperial appartments up the end of 1çth century. 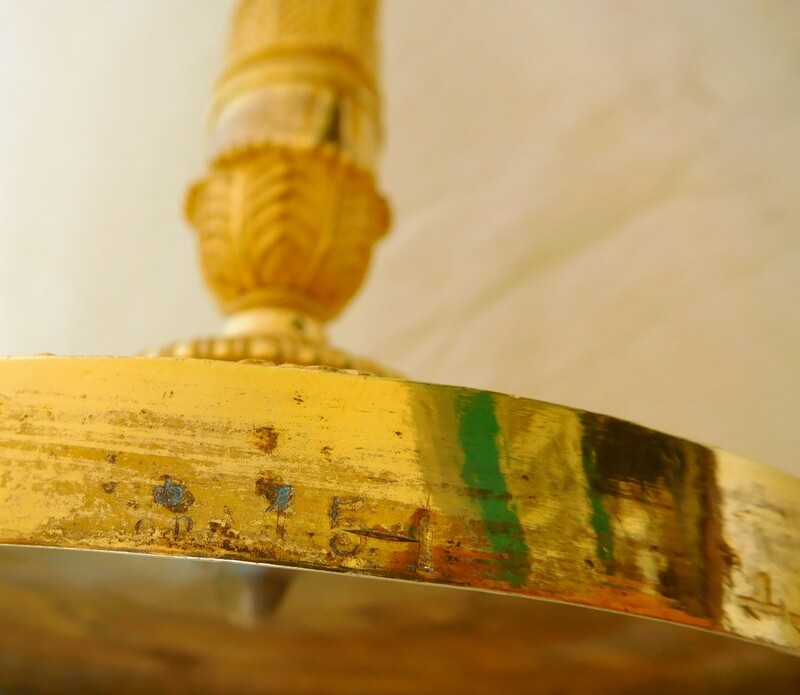 In outstanding condition. 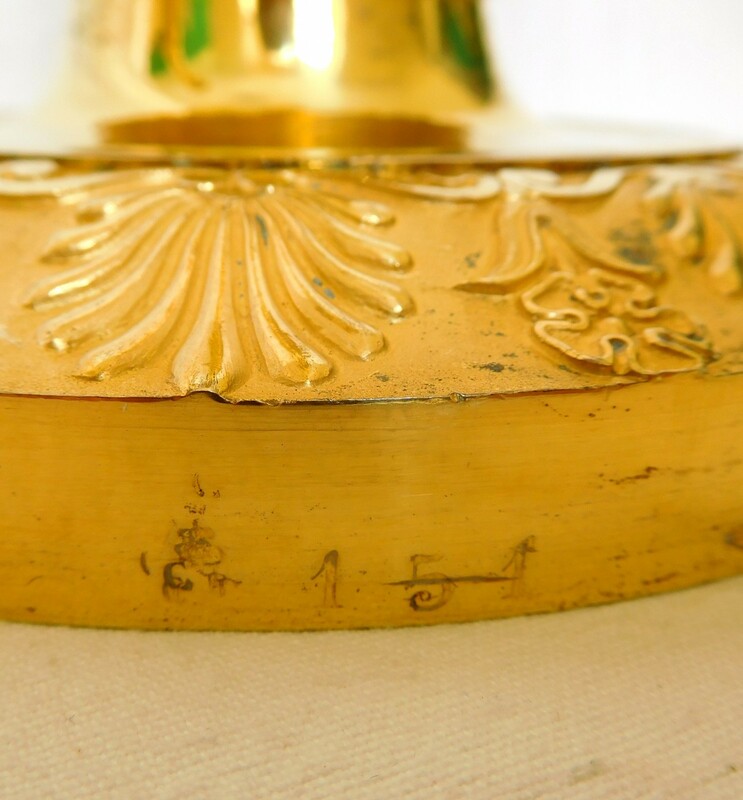 complete, original gilding which seems to be new !